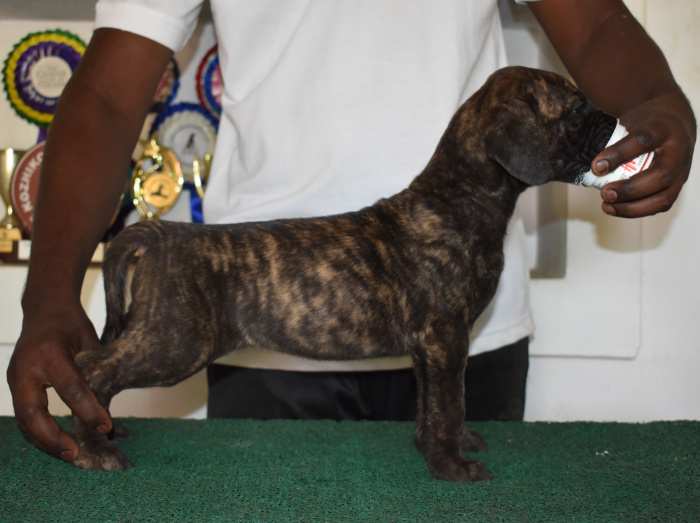 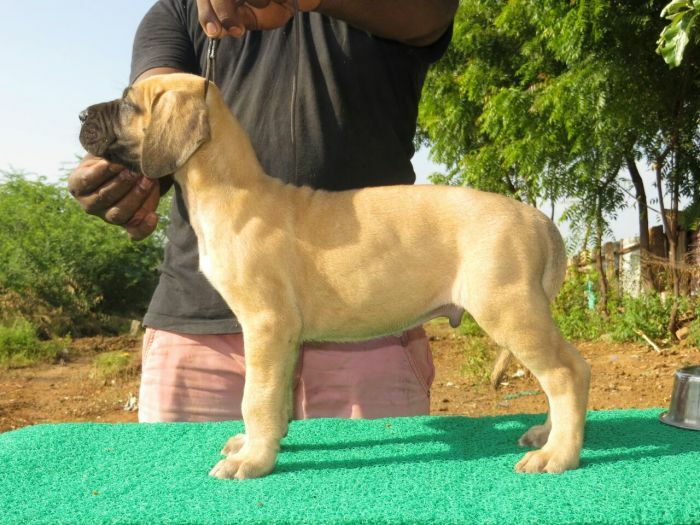 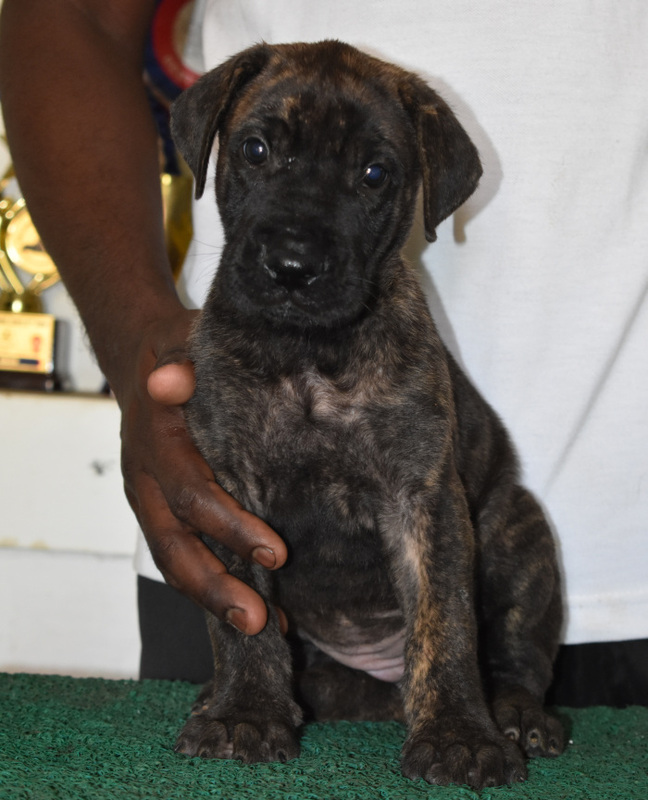 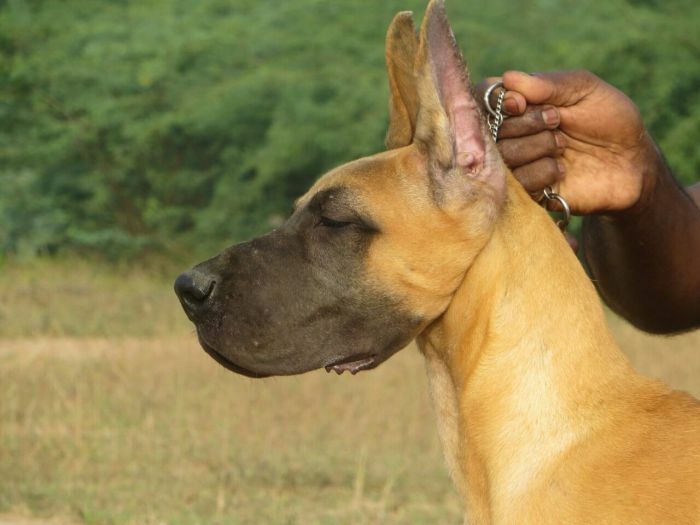 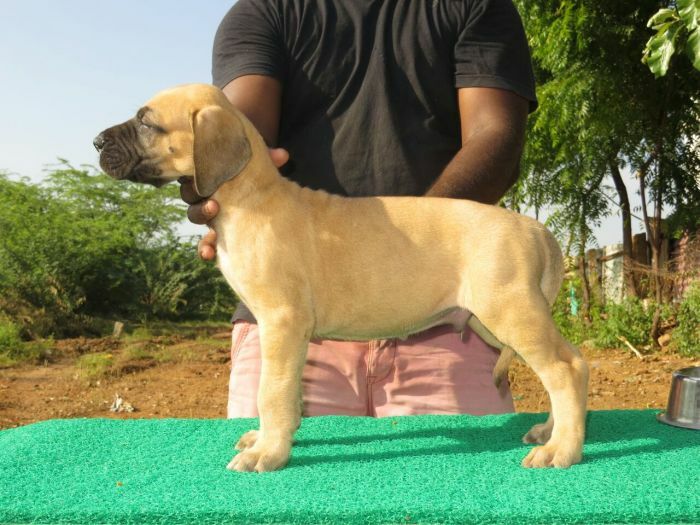 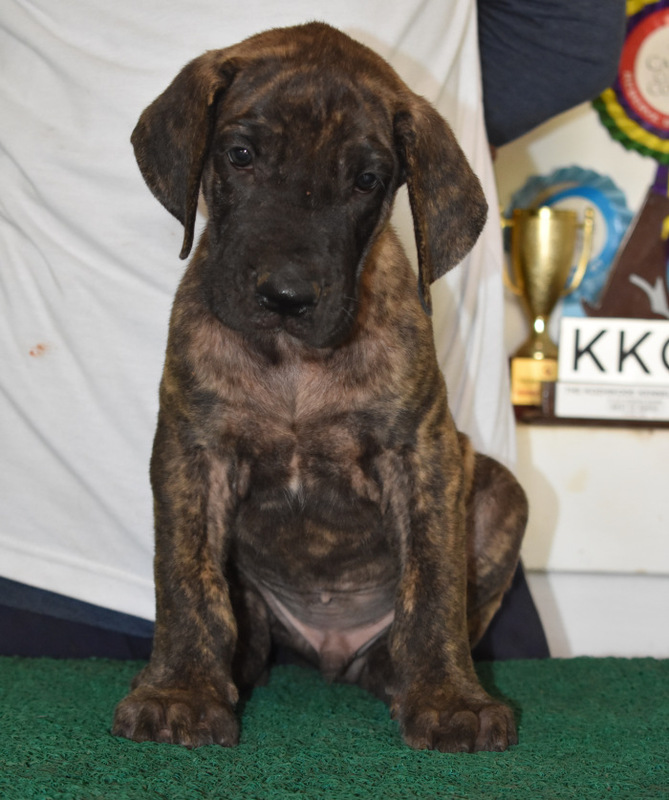 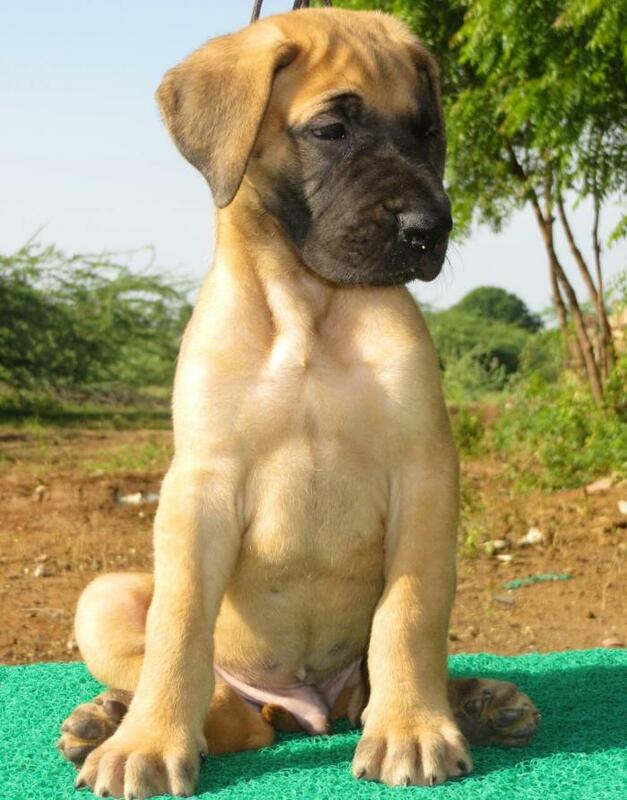 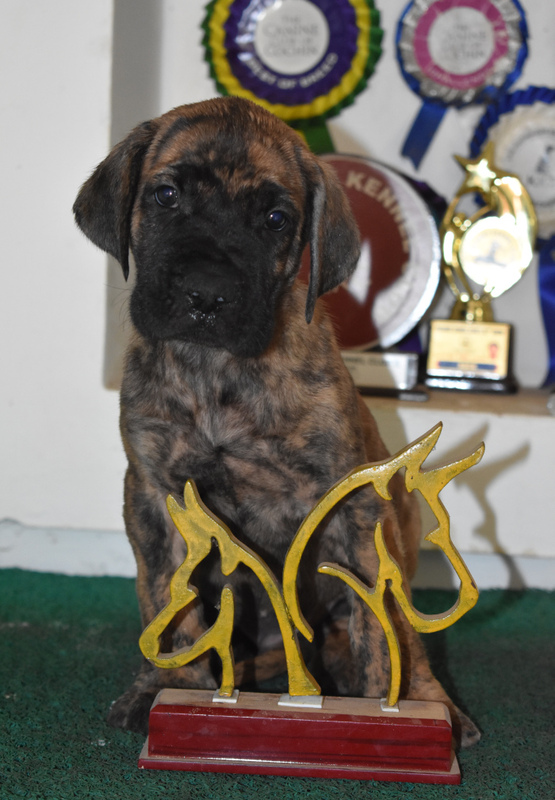 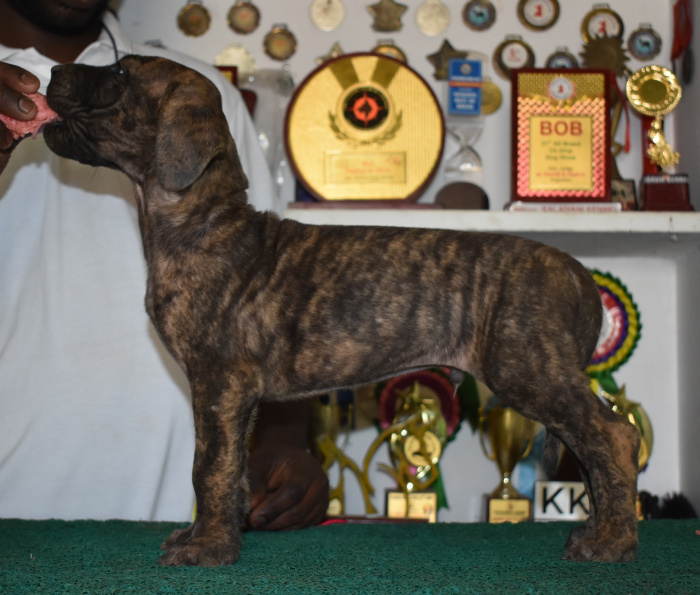 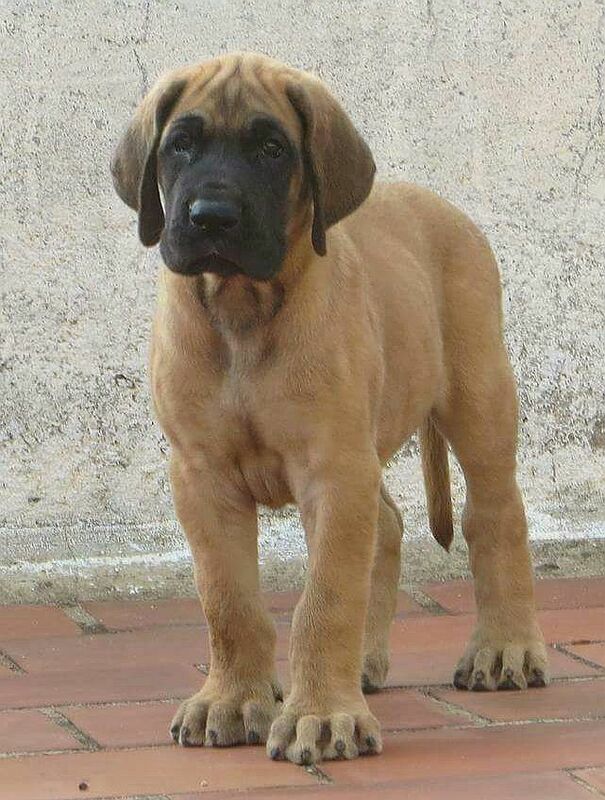 Proudly Presents Show Prospect Great Dane puppies. 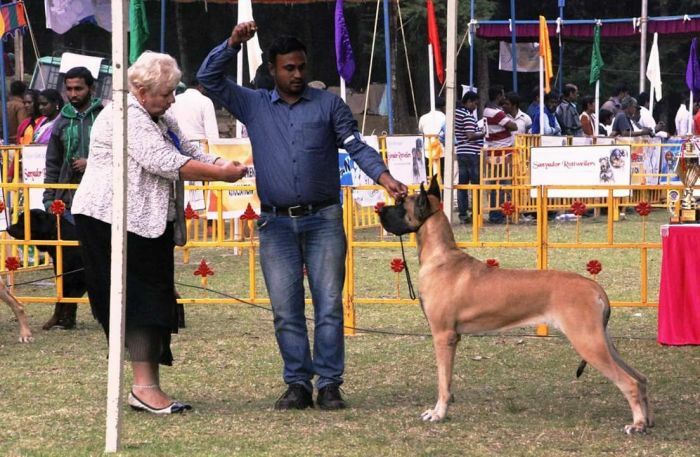 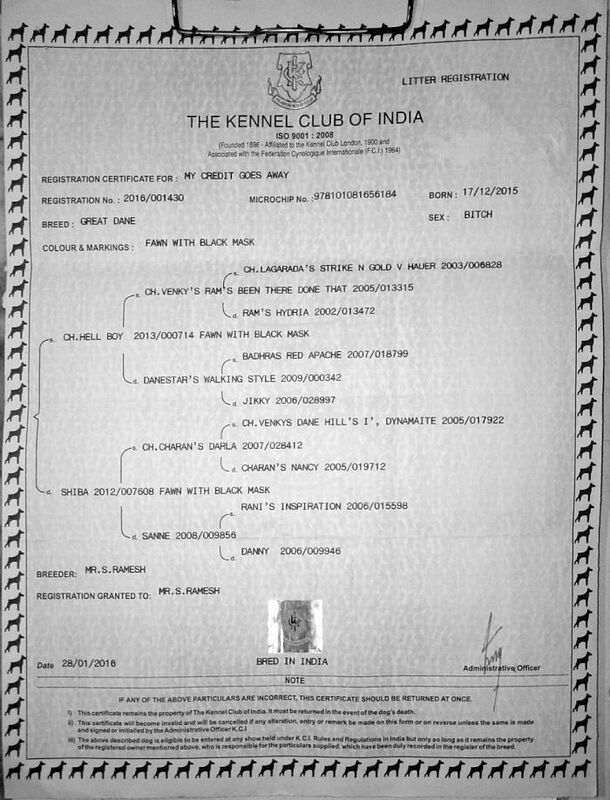 Available to genuine Dane loving homes who would like to exhibit in shows. 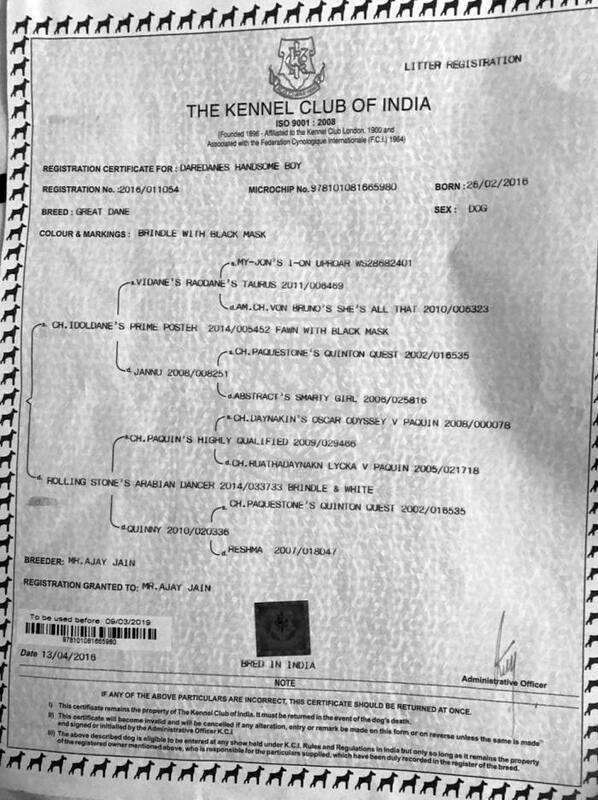 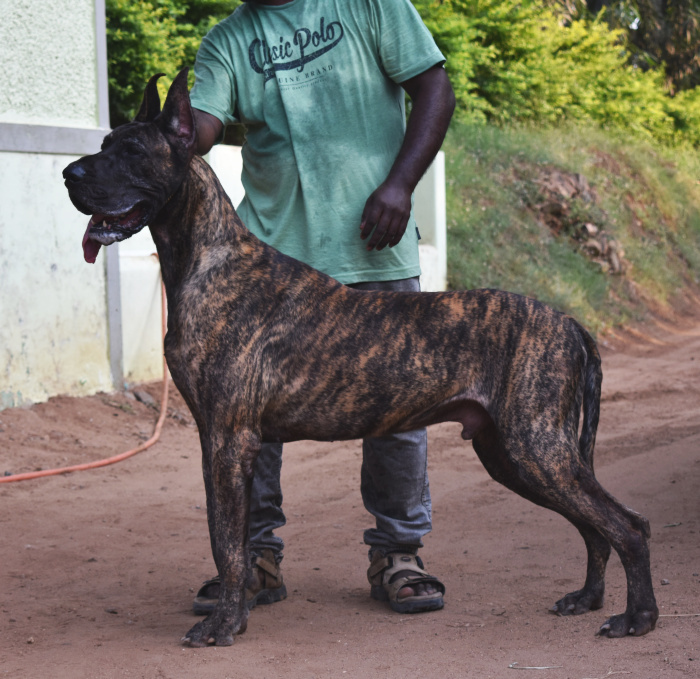 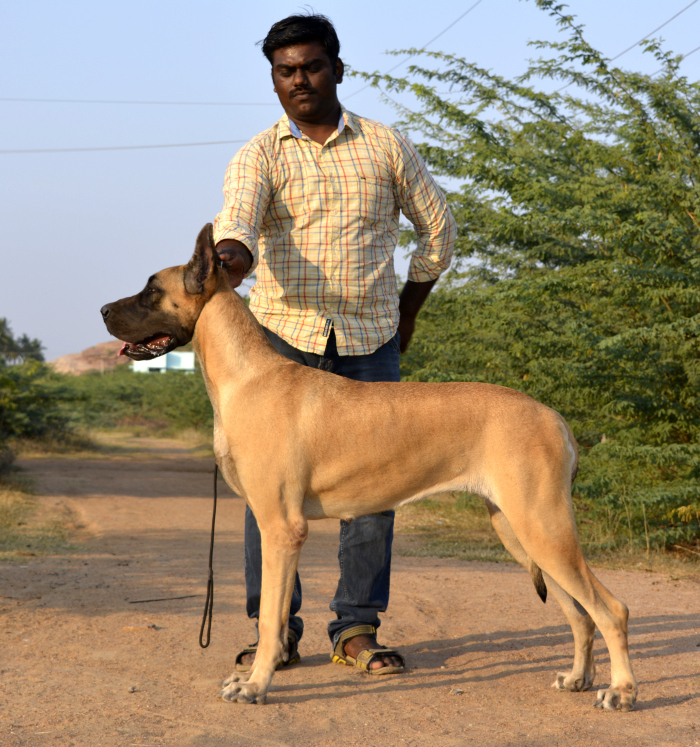 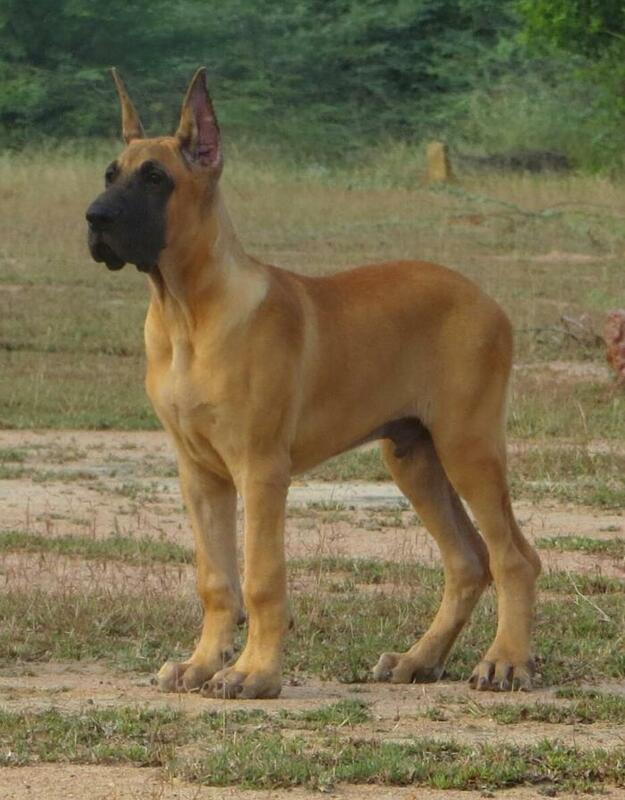 They have Heavy Bones, Good Angulation and Excellent temperament. 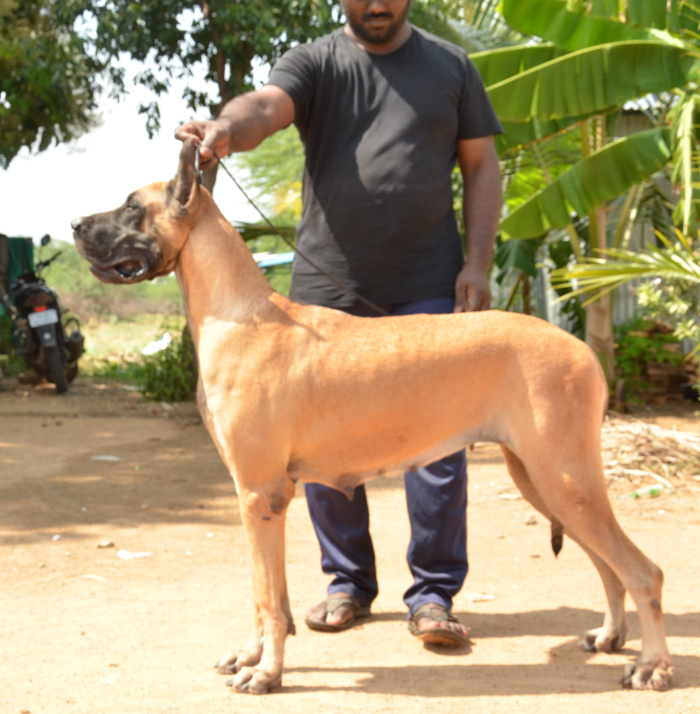 They are Vaccinated, Well Raised and De-wormed regularly. 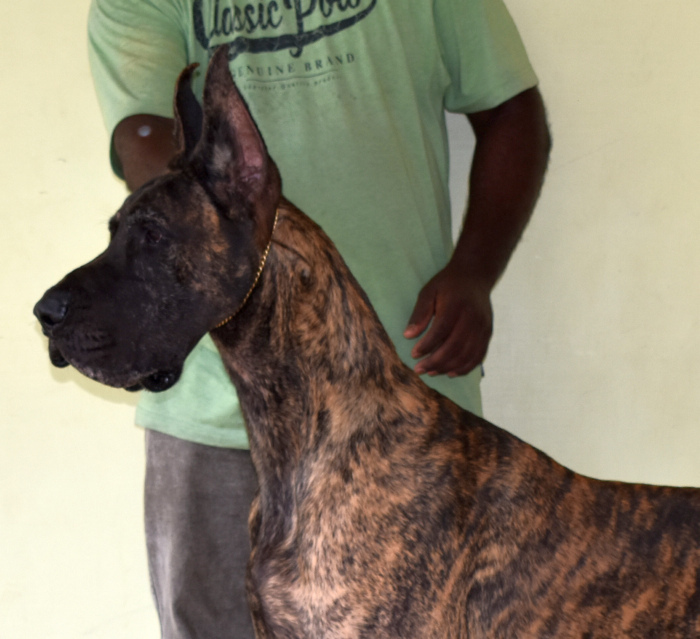 Scroll Down to see Photographs of Sire and Dam and Pedigree Details.